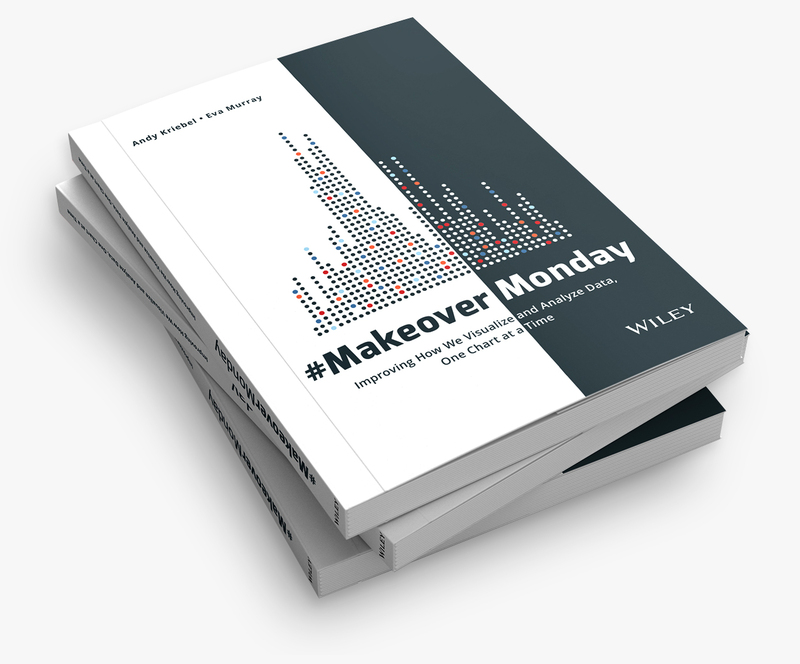 #MakeoverMonday HQ has been into small data lately and this week continued the trend: 2 columns x 20 rows. I love small data! The viz to makeover this week comes from the World Economic Forum. The colors scale, from dark to light, make it relatively easy to see which cities are the most and least expensive. 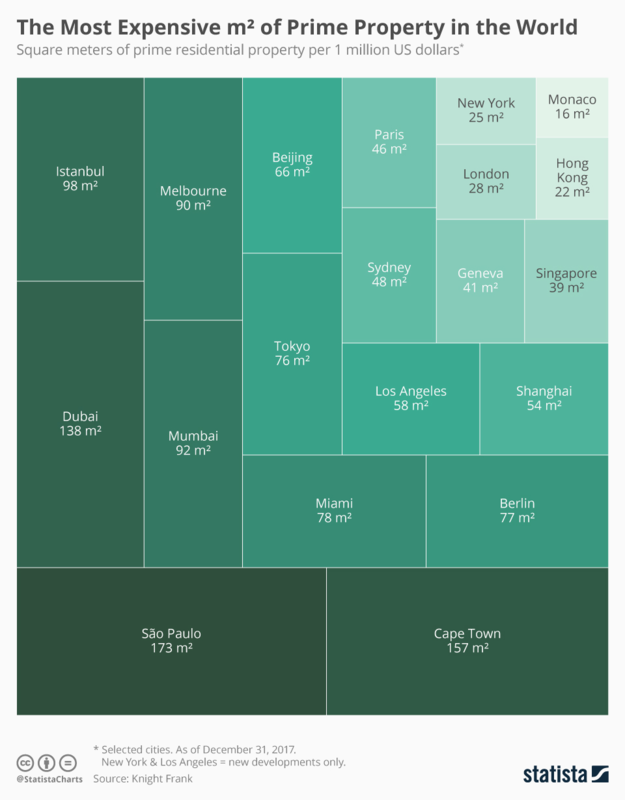 It's easy to see that the bottom-left cities is the most expensive and the upper-right is the least expensive (of the list). A treemap is used to represent parts-to-whole relationships. This is only a selected set of cities. Displaying square meters as parts-to-whole makes no sense at all. The sorting of the treemap is strange. It seems the whole chart should be flipped on the y-axis. After reading the article that the source refers to, I wanted to look at cities by their regions and focus on Europe. 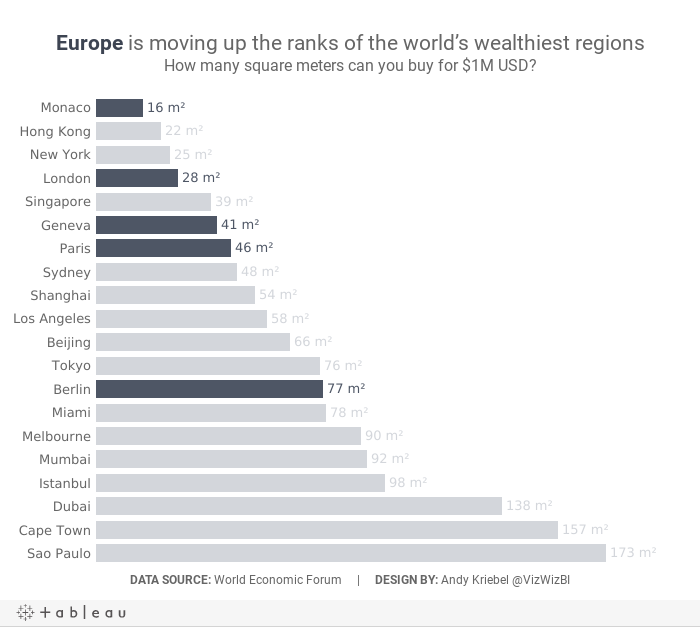 With that, here's my simple bar chart showing how European cities are mostly ranked near the top of the list of the World's wealthiest cities.